It seems like there are new recalls on dog food and treats every day. For this reason, pet owners are doing more research and have become more aware of the ingredients used to make the food they feed their dogs. NUTRO Ultra Dog Food has been pushed into the spotlight recently, thanks to its high quality ingredients and grain free recipes. 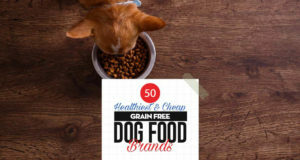 Many popular, top-selling brands of dog food use harmful ingredients like artificial colors and preservatives, fillers and even toxic chemicals. As your pet's caregiver, it’s your job to advocate for him and make sure that you’re feeding a high quality diet that provides the nutrition he needs without any of the harmful ingredients that are commonly found in commercial pet food products. The ONLY good thing about dog food that uses cheaper quality ingredients is that those savings are often passed on to the consumer. In layman’s terms, this means that cheaper quality foods don’t cost as much as a high quality product. As the old saying goes, you get what you pay for. As with almost every consumer product, you have to look at the big picture and not just the “now.” Saving a few dollars on your pet's food now may actually cost you more in the long run. Did you know that some studies have shown (PDF) there are links between common ingredients in commercial dog food products and the risk of cancer? The health benefits of feeding a higher quality food will likely save you money on veterinary care over the years. Likewise, higher quality foods are more nutrient dense. This means that you can feed your dog less food while providing the same nutritional contents. You may have to spend more up front, but higher quality food will pay for itself over time. At the end of the day, one thing that every pet owner can agree on is that our dogs don’t live nearly as long as we’d like them to. While there isn’t anything we can do to keep our canine companions around forever, feeding a high quality dog food is likely to extend his lifespan, and this has been demonstrated in multiple studies. So, how do you choose which dog food is right for your pet? 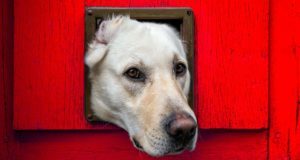 The first thing that you need to do is have a conversation with your veterinarian or a canine nutritionist about your dog's unique nutritional needs. Once you understand your pet’s unique individual nutritional needs, you can look for a high-quality dog food that is made with safe ingredients. Will NUTRO Ultra Dog Food meet your dog's needs? Is it made with high quality ingredients like the advertisements claim? I'll give you all of the details in the following NUTRO Ultra dog food review below and in my video above. 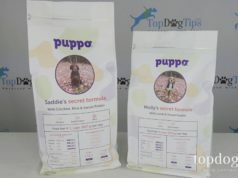 As you can see in my video review, this dog food is available in wet and dry varieties. It is a grain free recipe that is made with real meat as the first ingredient. NUTRO Ultra Dog Food is also made with non-GMO ingredients. This dog food contains no artificial colors, flavors or preservatives. It also is not made with chicken by-product meal, corn, wheat or soy protein. It offers a minimum of 29% crude protein and 16% crude fat. FULL INGREDIENT LIST (Beef, Potato and Spinach Dry Recipe): Beef, Pork Meal, Dried Potatoes, Split Peas, Chickpeas, Lamb Meal, Chicken Fat (preserved with Mixed Tocopherols), Potato Starch, Pea Protein, Natural Flavors, Spinach, Whole Flaxseed, Sunflower Oil (preserved with Mixed Tocopherols), Choline Chloride, Potassium Chloride, DL-Methionine, Basil, Salt, Mixed Tocopherols and Citric Acid (preservatives), Parsley, Oregano, Thyme, Zinc Sulfate, Niacin Supplement, Iron Amino Acid Chelate, Biotin, Vitamin E Supplement, Selenium Yeast, Copper Amino Acid Chelate, D-Calcium Pantothenate, Riboflavin Supplement (Vitamin B2), Manganese Amino Acid Chelate, Vitamin B12 Supplement, Pyridoxine Hydrochloride (Vitamin B6), Vitamin A Supplement, Thiamine Mononitrate (Vitamin B1), Vitamin D3 Supplement, Folic Acid, Rosemary Extract. NUTRO says that this food is formulated for a dog's overall health and well-being. You'll usually find adult dog food recipes that are formulated for one specific health condition such as skin and coat health, joint health or weight control. I was impressed to find a commercial kibble that offered all of these benefits. It's a suitable diet for all adult dogs. As you can see in the photo above, the kibble size is also quite small. This makes it ideal for seniors or dogs with dental health problems. This food is available in Beef, Chicken, Lamb and Duck varieties. You can purchase a 4-pound bag of NUTRO Ultra Dog Food for $22.99 on Amazon, which is about $5.75 per pound. Compared to lower quality products that retail for less than $1 per pound, this food is quite expensive. However, you need to remember that you’ll get what you pay for. Spending a little more on your dog’s nutrition now may save you hundreds of dollars in veterinary care over the years. I've heard a lot about NUTRO Ultra Dog Food, and I wanted to check it out for myself. This food is grain free and uses real meat as the first ingredient. It's made with non-GMO ingredients, making it a much higher quality food than most other dry kibbles you'll find on pet store shelves. How much D3 in the product ?.